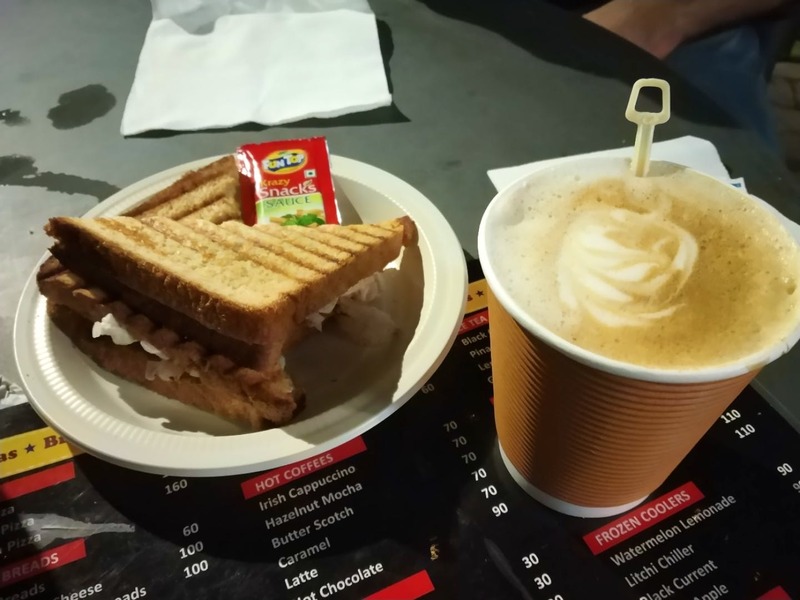 I visited this small but cute cafe in Mayur Vihar, phase 1. The USP of this cafe is their open-air seating arrangement and the perfect lighting. The cafe can accommodate 20 to 25 people at a time. The place is always filled with people of all age groups. It is lively and one won't feel bored. The food served here is not only tasty but also very economical. If you want to enjoy some good food under the sky, then this is the best place to go. We ordered their coffee and red sauce pasta. The service here is also amazing and very prompt. Co-incidentally, it was drizzling and the combination of good food under the sky happened to be perfect. Because the place is very pocket-friendly, and maybe that is one of the reasons that it is crowded in the evenings. There are a lot of food joints like CCD, Subway, Fastrx etc nearby this place if you want to try something else post the pasta and coffee. This place is just a walking distance away from the Mayur Vihar metro station. They can add a lot more on the menu. In fact, a little more seating area would be great too.